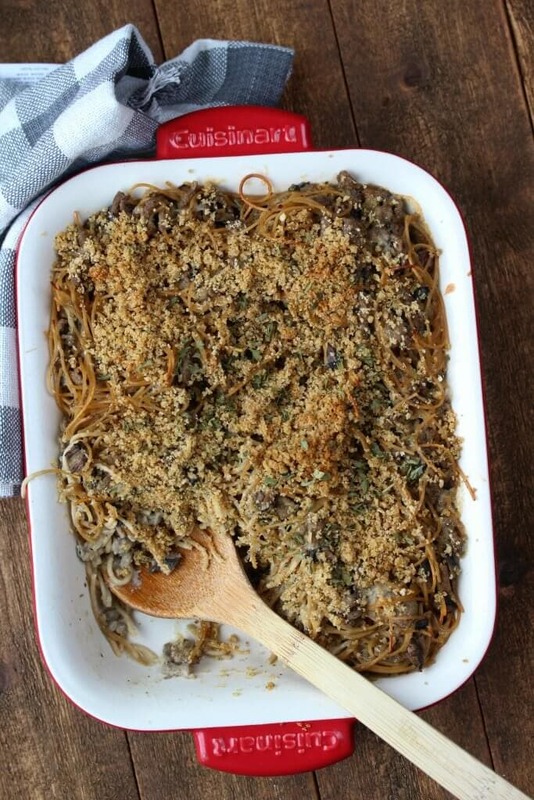 This Turkey Tetrazzini Casserole is easy, healthy and has been a family favorite of ours for years! If you are looking for the best comfort food recipe, this is it! Of all the things I never thought I’d do, creating a recipe is one of them. The simple fact that I’m sitting down to share it with you actually makes me laugh. There’s a first time for everything I guess! And who knows… maybe you’ll see a few more recipes here soon! My boys, husband included, have loved this particular recipe for many years. I finally decided to recreate it and make it more my own and “clean up” the ingredients (goodbye can of cream of mushroom soup!) 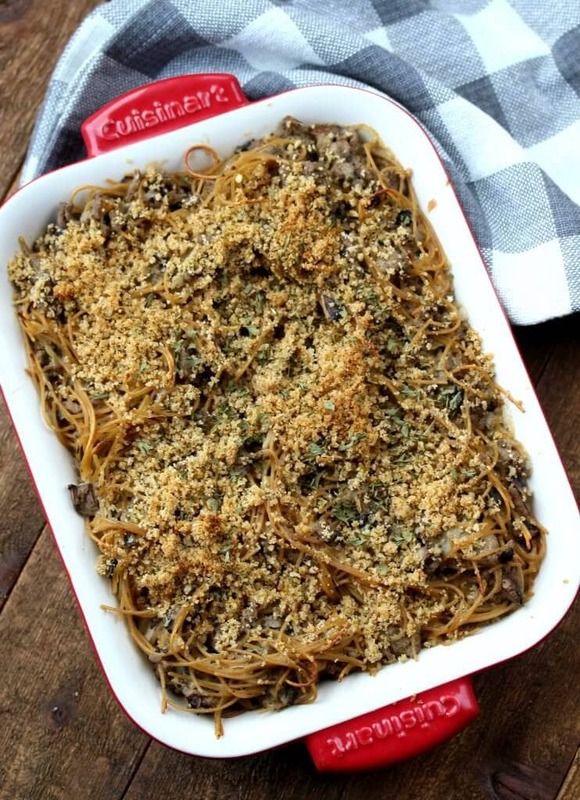 I am proud to say that my boys enjoyed “Mom’s version” of Turkey Tetrazzini Casserole just as much as the recipe we’ve been enjoying for years. 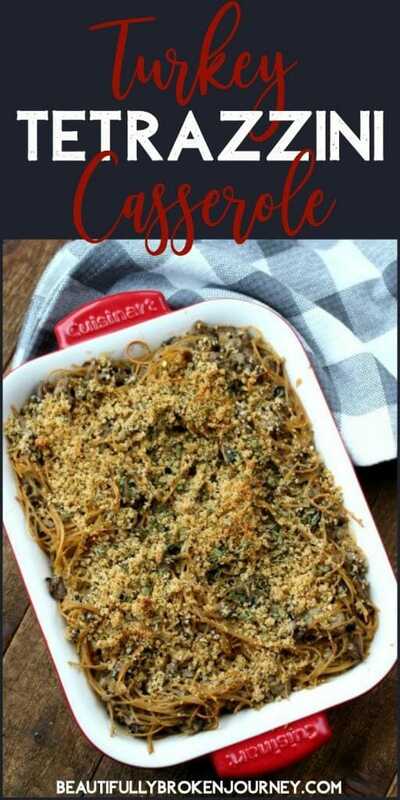 My husband grew up on a farm, so he loves comfort food, and he really loves casseroles 🙂 This recipe is probably one of his all time favorites that I make. He would eat it once a week if I’d make it that often, and it makes great leftovers for him to take to work the next day. When I plan our meals, it’s important to me that we have enough leftover so he can have lunch the next day, even better if there is some leftover for my sons and I, too! When I joined Weight Watchers two years ago, it was my mission to eat GOOD food that was healthy and wholesome, but didn’t make me feel deprived. With my history with food, it’s really important that I enjoy my food and don’t restrict foods I really love. So, a diet with only chicken and veggies is sure to send me right into that binge/restrict mindset again, and I’m not interested in going back down that road. 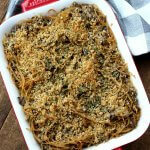 That’s why I love this Turkey Tetrazzini Casserole recipe. 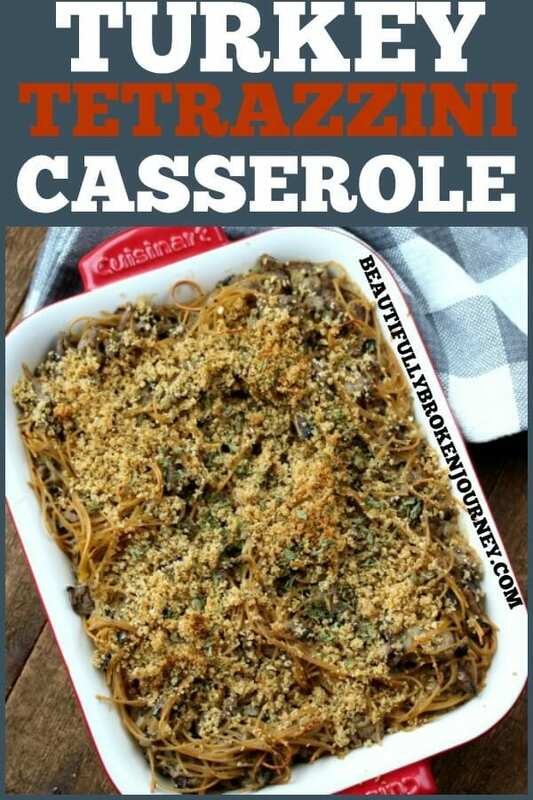 I promise you, your family won’t know you are staying “on track” if you serve them this casserole. I think you’ll find yourself enjoying a healthy lifestyle much more when you start incorporating foods like this into your meal plan. Food is meant to be enjoyed, and I hope you enjoy my FIRST recipe here on Beautifully Broken Journey! If you try it, please let me know how you like it in the comments! If you’d like to see more recipes like this you can check out my Weekly Meal Plans. Heat olive oil in skillet over medium heat. Add diced onions and garlic and cook for 2-3 minutes. Add diced mushrooms and cook until they are softened, about 3 minutes. Add ground turkey, Italian seasoning, salt, pepper and cook until done. Drain excess liquid if desired. Sprinkle flour over meat mixture and stir. Add chicken broth to meat mixture and set burner on medium heat. Break spaghetti noodles in half, then add into skillet and allow to cook until noodles are al dente and there is minimal liquid remaining. Slowly pour in half and half, and mix well. Sprinkle freshly grated parmesan over mixture and stir until combined. Transfer to a 9x13 pan and spread evenly. Melt butter. Add breadcrumbs to melted butter and stir. 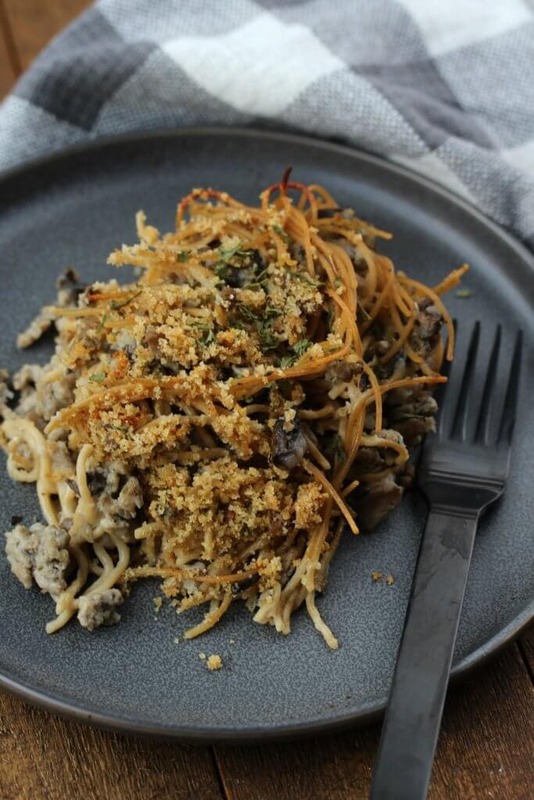 Sprinkle breadcrumbs evenly on top of the noodle and meat mixture. Bake for 20 minutes, or until it's warm. Finally made This! It’s delicious and such a versatile recipe. I can see this being a family staple. Especially great when we have rotisserie chicken breast on hand! I’m so glad you loved it, Carolyn!